SKYBIZ Head Jon ArayataSKYBIZ has earned praise from its business partners for being a reliable provider and enabler that allows them to use the best digital tools for entrepreneurs and big enterprises for more growth opportunities. ABS-CBNABS-CBN is entering into a joint venture with Ever Bilena Cosmetics Inc. to develop a new cosmetics brand. 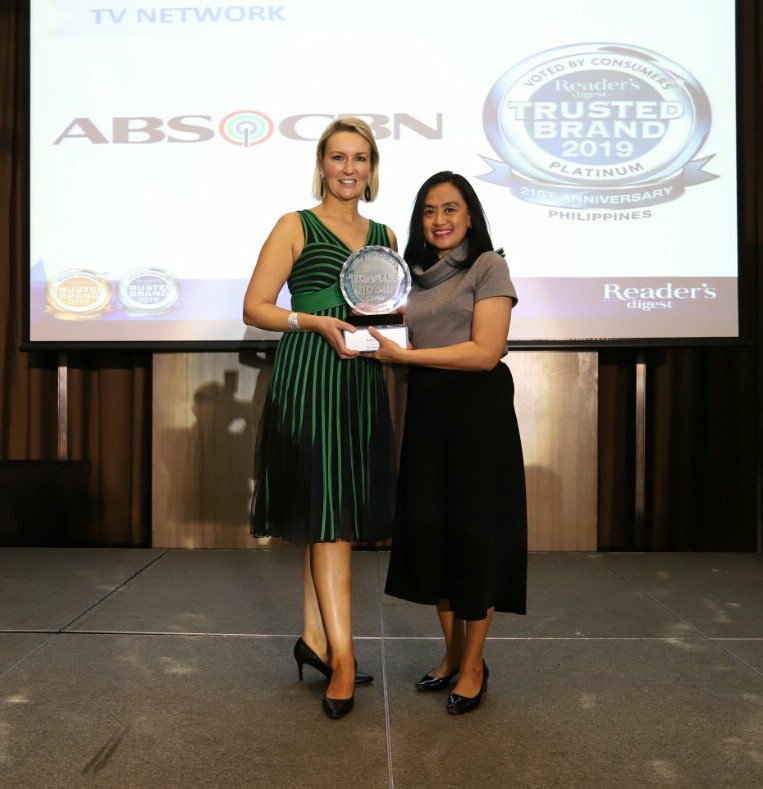 ABS-CBN wins its fourth consecutive platinum brand award from Reader’s Digest Trusted Brands AwardsABS-CBN continues to earn consumers’ trust, winning its fourth consecutive Platinum Brand Award at the “Reader’s Digest” Trusted Brands Awards. ABS-CBN March RatingsABS-CBN remained unbeatable in March, leading it to record an average audience share of 47%, or 17 points higher compared to GMA’s 30%, according to data from Kantar Media. First Gen LogoFirst Gen Corporation reported recurring net income attributable to equity holders of the parent of $243 million (P12.8 billion) in 2018. This was a 51%- or an $82-million (P4.6 billion) surge from $161 million (P8.1 billion) in 2017, mainly from the strong contribution of the company’s natural gas business that delivered recurring earnings of $186 million (P9.7 billion) versus $120 million (P6.0 billion) previously.